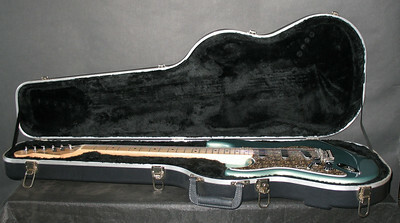 This fine Strat has been extensively upgraded to approximate a Custom Shop Strat for less than half the price. All new Jagmin pickups, DeTemple titanium bridge block and trem bar, new pots and 5 way switch, and custom Anaconda pattern pickguard. 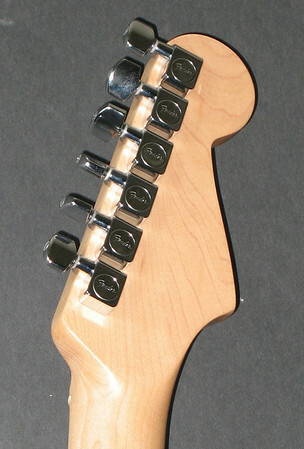 The volume knob has been moved away from the strings to where one of the original tone knobs used to be. 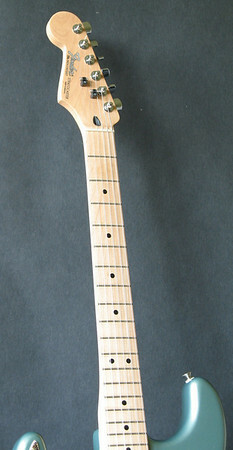 The 5 way switch has been given a softer angle to be more parallel to the strings. This prevents accidentally hitting either the volume knob or knocking the 5 way selector out of your desired setting. The volume knob is still close enough for playing volume swells. The middle tone knob has been removed permanently. 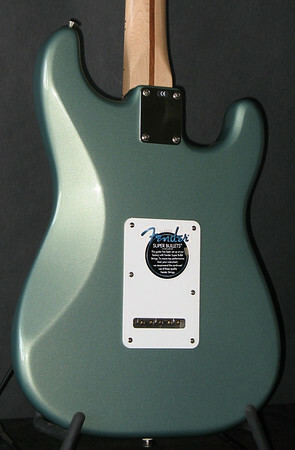 The Sage Green finish is no longer offered as a standard finish and can only be ordered through the Fender Custom Shop. The titanium bridge block gives more mass with less weight. 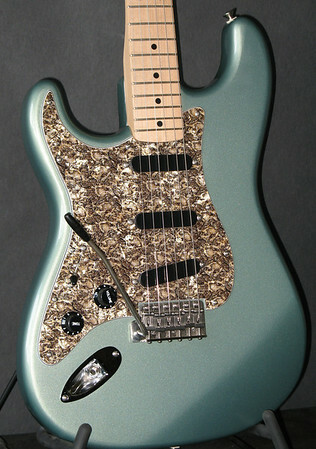 String to string clarity and single note articulation as well as sustain are greatly enhanced. Now every note in a chord is clearly heard. 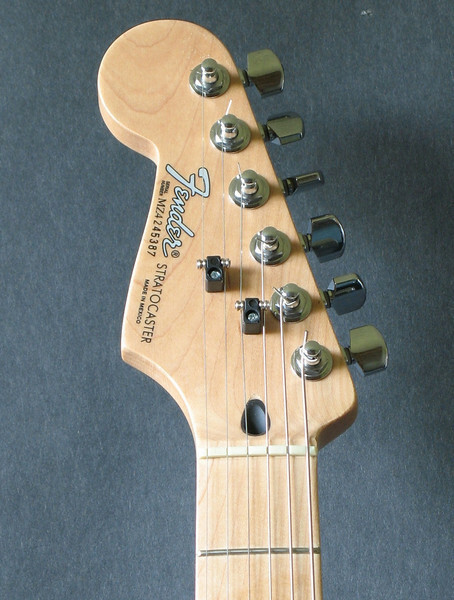 The Jagmin single coils are slightly overwound to emulate the midrange boost found on the Eric Clapton Signature Strats. 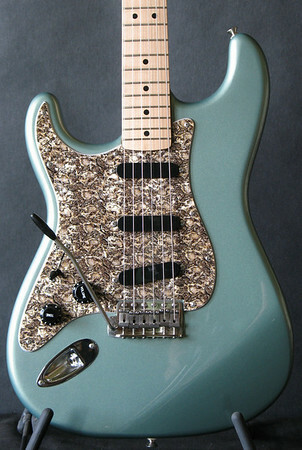 Even with extensive use of the trem bar this custom Strat holds it tune superbly. Like new condition.